I was asked the question this week of what trust seals I would recommend a website use? Trust seals would include services like Mcafee, Truste, the BBB, Verisign SSL, etc. Putting aside any potential real benefits in security, I think that these seals can help a business increase their conversion rate. However, I think the statistics touted by the seal providers themselves are greatly exaggerated, even to the point of them being statistically impossible. I’ve seen statistics like “over 70% increase in conversions”. While this may be theoretically possible, it’s just not plausible that the site seal somehow convinced double or more the amount of visitors to make a purchase, unless there were serious problems with the site before the seal was installed, or there wasn’t enough data for statistical significance. So, the real question is, what makes these seals justifiable? Realistically, if a site seal provides any increase in conversions, there is a point where the benefit surpasses the cost to obtain a site seal. But, where is that point? My typical answer is that for a new website they will not provide a positive ROI until the business has a substantial amount of sales. Basically, don’t get one until you are already well established. Substantial is a very ambiguous answer, let’s look at what substantial sales actually mean. Let’s say a site can benefit by a 5% increase in raw conversion by installing a trust seal, far below the 75% that some claim, but still high as far as I’m concerned. Let’s also say they are using a seal that costs $1000 per year, and are currently operating with a 20% profit margin. This business would need an additional $4761.90 in sales in the next year, or $396.86 per month, to get a positive ROI on their site seal investment. If the business operates on a very tight profit margin (say 5%-10%), which is increasingly common with online businesses, this number goes up quickly. So, you can see how much in current sales this business needs to break even on their purchase of the trust seal: $7,937.80 per month, or $95,253.36 per year. This isn’t an astronomical number for an established website, however for a brand new website it’s probably a lot. Additionally, it’s not uncommon for a business to purchase multiple site seals. I can say that as the number of seals goes up, the conversion rate per seal goes down, making more sales required for the seals to generate a positive ROI. If a business has 3 seals installed all for $1000, and the end conversion increase for each seal is 3.3% (we’ll assume an extremely generous 10% total for all 3 seals). This would require an existing monthly sales volume of $36,291.06 ($435,492.72 per year) just to break even on the trust seals. These are all just made up numbers, but they’re in the realm of possibility as far as costs, increases, and profit goes. 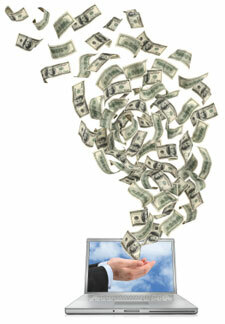 The tricky stuff: There are many variables in measuring an increase in sales. It’s almost impossible to attribute an increase 100% to the installed site seal, even if a single variable A-B test is performed. There are factors outside the checkout process that have a lot to do in determining the type of visitors that are coming to a site, and the sales of that site. Even so, a single-variable A-B test would be the most appropriate way to test the conversion rate increase in adding a site seal. The sneaky stuff: One caveat is that if a seal instantly increases conversions, you could be losing money by performing the A-B test at all. This creates psychological motivation not to test, and is one of the strongest retention methods of site seals in general. The majority of website owners have bought into the seal before they even install it and no test is ever performed. As site owners we almost always get grossly skewed statistics on the effectiveness of site seals, especially if those statistics are coming from the person trying to sell it. I can honest tell you that you should not expect a 70% increase in conversions by installing a site seal, and I don’t think I would expect a 10% in most cases. These are the only site seals that I could possibly recommend looking into. There are probably a million out there, but there are very few that anyone cares or knows about. Most seals just add clutter to a page, potentially decreasing the sales potential the page would otherwise have. I think everyone is used to seeing SSL seals. I’m not sure if has helped ROI any. I am thinking about getting a BBB seal and see if it’s worth the investment. Good article. As you noted, the value of the seal is highly dependent on many variables so your mileage may vary. Full disclosure: I work for VeriSign Authentication – now part of Symantec. We encourage our customers to use an analytics tool and run an A/B split. Unfortunately, many small businesses neither have the time or expertise. 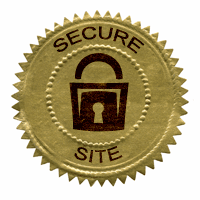 Minor correction: The VeriSign Trust Seal is available for sites that do not use SSL. It could be a web brochure, or a site that uses a 3rd party payment system, thus SSL may not be used directly. It’s more than the seal, it’s not just about SSL, but I won’t turn this into an astroturfing commercial. I’m just glad folks are thinking of this topic and considering VeriSign as a contending solution. For me, having an SSL certificate is essentially a requirement now when running an e-commerce shop. I’ve generally gone with Verisign who are also a whole lot cheaper than the prices you’ve mentioned. Good article though, I’ll check out those other SSL seals. From my experience the value is actually minimal. In fact, now-a-days you can get a bunch of seals for free from your CC Gateway company, from your SSL provider, from the merchant account, etc. This is mainly self promotion but also gives your users some assurance that you are using the ‘big boys’ hence you are probably safe enough. Let me just say this: I NEVER EVER seen sales rise as a result of buying and placing a seal on one of my customer’s websites. I can certainly understand the skepticism on seals. One’s mileage will vary. I do think a well recognized brand, stands a better chance than a no-name brand. 1. a daily website malware scan that alerts you if you malware is found on the site. This should protect your customers and from becoming blacklisted by google. 2. a feature called Seal-in-Search, which displays the seal on search results from partner browser plug-ins like AVG or partner websites like thefind.com. It could help your links stand out in search and drive more traffic. So it’s really more than just a seal. or SSL. And, at a fraction of the cost from McAfee. Hi there, good article. Personally I don’t actually take note of any security seals on websites I purchase from. I look for other signs of legitimacy though, such as contact numbers, addresses, about us pages, testimonials etc. I have never made a decision based on a security seal, and would not even really notice them unless looking for them. Maybe it is more prevalent in the US, but in NZ or Australia, I don’t think people take much notice of them. Cool blog by the way just came across while trying to find some specific blogs relating to e-commerce stores. Cheers, Mike. Excellent article. I think the marginal benefit per new seal would diminish a lot more rapidly- probably exponentially. That said, the justifiable sales that must be generated, even for established brands, would pretty soon bottom out. However, one item you may take into account is the fact that certain fixed costs involved such as purchasing a seal, or investing in infrastructure. That would result in increased profits per additional units sold. The second type (and reason for multiple seals) is the threshold limited costs. The cost per sale generated can be expected to fall till a constraint capacity is reached and then jack up again, as an additional infrastructure component needs to be purchased. The trust seal is something that our small business and talked about using. It’s nice to see the costs broken down, so thanks! This is a great article, but I’ve found that for small business websites I’ve worked with the trust seals you recommend are on the pricey side (several hundred $$ per year). That probably isn’t realistic for many shops just starting out online. Yet when small online stores without much name recognition, try to sell expensive items online, they will often flat out fail unless they have some kind of trust seal. Less spendy trust seals like Trust Guard (moderate price) or VeraSafe (cheaper) are probably the way to go for smaller or new online shops. A trust seal gives user a confidence that the site the user is browsing is safe or may be the transaction that he want to have form a e commerce website will feel him more secure.Hence it is worth having that on our website. I got a Verisign Site Seal this year that “verified” my companies address as being an address that was 4 years out of date. what a joke! Not great protection for the consumer. Excellent one that too on a good topic which is need for the hour. Trust seal is very important from the users point of view, which can build up their confidence..